The sales funnel in a business has changed dramatically in recent years, thanks in large part to how digital and print marketing have been married together. The customer experience is now a fragmented one, and if you're only giving your audience one opportunity to buy, you could be leaving lots of money on the table. In truth, you can never have too many purchase points in today's modern climate for a number of key reasons. The internet, in particular, has naturally led purchasing decisions to become more complex over time. Because more information is now readily available than at any point in the history of consumerism, people now spend huge volumes of time researching before they make that move towards a purchase. They're also getting their information from many different sources. Dimensional Research conducted a study that revealed 90% of people are influenced by online reviews before making a purchase. Another study revealed that 36% of people use a company website before making a purchase, another 22% rely on face-to-face interaction, and 59% even find out what their friends or family members have to say before they make a decision one way or the other. You might think that this massive influx of information would make the sales funnel simpler, as it's now easier than ever to find the actionable information you need to make the most informed decision with your hard-earned money. However, it's actually had the reverse effect. Things have gotten significantly more complex as even the average consumer's opinion is now being pulled in a number of different directions. This massive shift in the way that consumers operate has created a ripple effect, changing the way businesses operate at the same time. It requires marketers, in particular, to respond in more diverse ways, starting with not just how they've optimized their sales funnel to take into consideration 21st-century buying practices, but how they've designed the funnel in the first place. According to a piece that first appeared in Forbes, content marketing is one of the primary keys to helping address these modern day challenges. 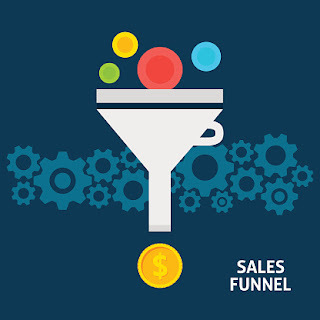 Essentially, modern businesses need to assume that EVERY point in the sales funnel is a potential purchase point and content needs to be created to match. Content marketing lets businesses created and distribute relevant, valuable, and consistent content to attract their clearly-defined audience. If you're assuming that your audience could be ready to buy at the drop of a hat, naturally how you design that content will have to respond. In essence, content and your larger marketing efforts must now be ready to address problems earlier in the buying cycle than ever before. The only purchase point in your sales funnel can no longer be the one at the end. Any point can now be a purchase point if you know what you're doing. These types of techniques also give way to an added benefit of allowing marketers to take advantage of more diverse channels to attract the largest audience possible from the outset. So, not only are you getting consumers who are ready to buy sooner than ever before, but you're also getting a larger number of leads entering into the funnel. It may be trickier to manage, but it's the type of situation that our marketing ancestors would have gladly killed for.